Welcome to Greater Port Macquarie, a beautiful and diverse region packed with things to do! Browse our listings and enjoy our abundance of Tours and Attractions in Greater Port Macquarie! From our beautiful beaches, thriving townships, winding rivers to the mountains in the hinterland you will find "52+ Things to do", that's one for every week of the year! Our 52+ tour and attraction operators are ready to show you the best of our region. Enjoy our beautiful beaches, rivers and mountains then set out and start enjoying GPM's 52+ Things to do...HAPPY HOLIDAYS!!! 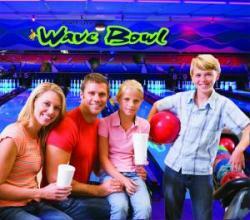 Bowling has never been more fun than at Wave Bowl, your Ten Pin Bowling Entertainment Centre in Port Macquarie. Are you bowling for fun with your family? Or looking for a great time out with friends? Then come and see us for an experience that everyone will enjoy.